While magnetic resonance imaging (MRI) is considered the best method for visualizing the knee meniscus, the tear appearing on MRI has no significant basis unless it is based first on the history and physical examination. Between 36-76 percent of asymptomatic patients show tears on MRI and the percentage greatly increases with age. Asymptomatic patients older than age 65 show meniscal tears at a 67 percent rate, and tears are prevalent in 86 percent of patients with symptomatic osteoarthritis.2 Since asymptomatic meniscal tears are common, it is essential that a practitioner be certain that the meniscal tear is the source of the patient’s pain. For the medial joint-line tender area, if it is the right knee, flex the patient’s knee 90 degrees and externally rotate the foot and tibia to open up the medial space. Externally rotating the foot also puts pressure on the medial meniscus tear from the medial femoral condyle. Internally rotate the foot and tibia for a lateral tear. Use friction massage with your finger or Graston Technique over the area until you feel a marked decrease in tissue density. (This might take up to 5 minutes.) Do not repeat this treatment for at least five days. Standing on the supine patient’s left side, flex the patient’s left knee approximately 110 degrees. Put your left forearm over the patient’s lower tibia and medial malleolus, grasp the calcaneus with the hand and then externally rotate the foot (the entire procedure may also be attempted with the foot internally rotated). Estimation of the severity of the lesion, the age of the patient, the degree of knee instability, and the patient’s occupation all have significance in determining whether conservative treatment may be attempted. 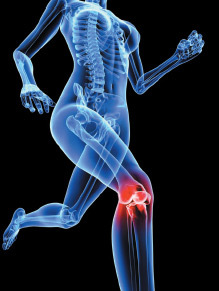 Prolonged loss of knee extension, chronic severe pain, locking, and swelling are definite indicators for possible surgery. An acute injury in young patients (usually in their 20s) should always make one suspect more than just the isolated meniscus lesion. Usually there is pain, swelling, giving way and locking. Often the meniscus tear is associated with an MCL or ACL lesion.